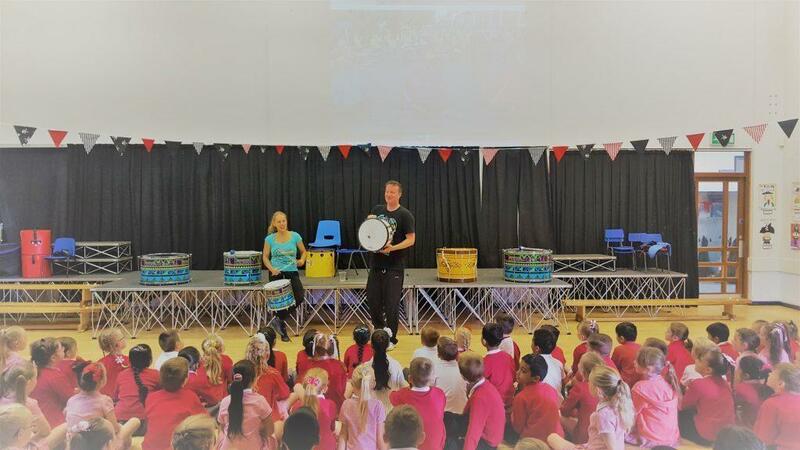 Not only are our schools drumming workshops energetic and fun, but also offer a multi-cultural experience full of cross-curricular learning. 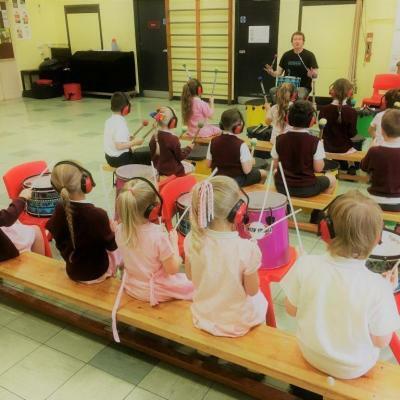 Our fantastic team of experienced teacher / facilitators are highly skilled and have led classes from early years to professional level around the UK and worldwide. 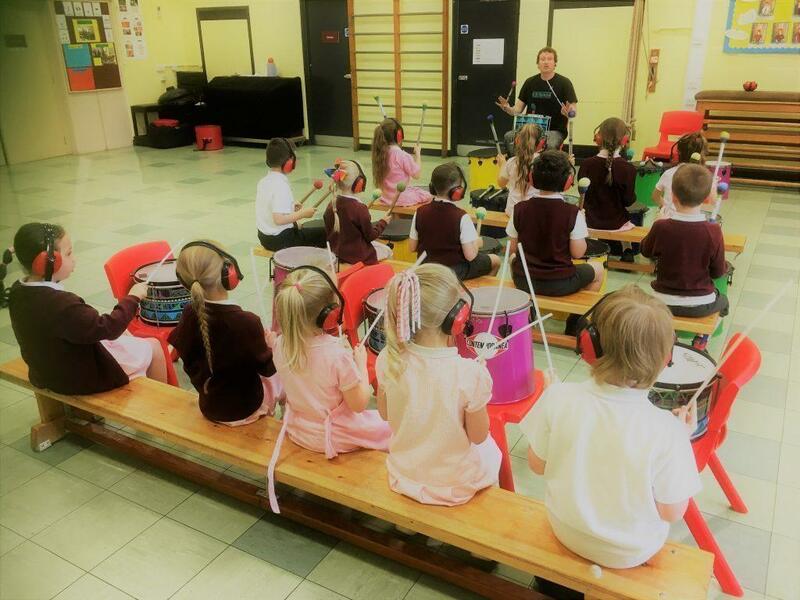 We regularly deliver in a variety of settings including mainstream education, special education, S.E.N.D., higher education, corporate, community, summer schools, residential weekends, staff CPD, and more. 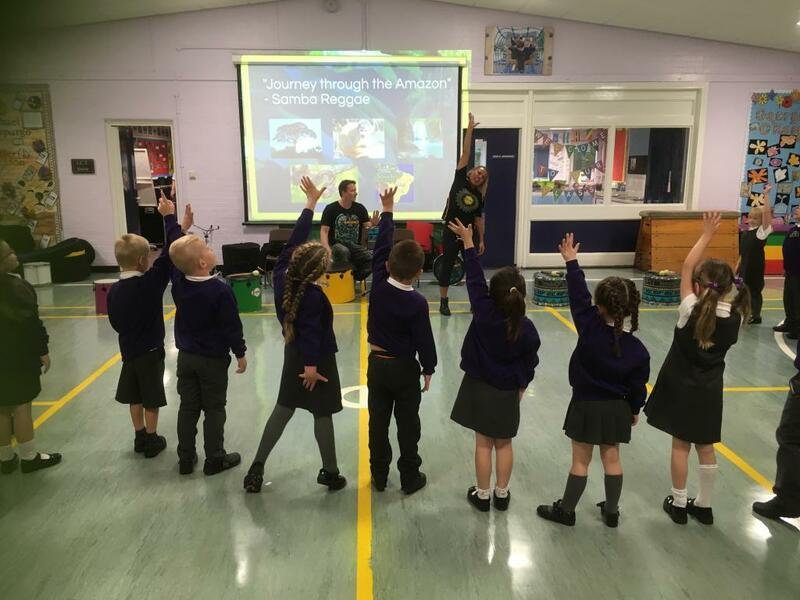 Half day or full day sessions can be tailored to complement a particular topic or message such as the rainforest or empathy. 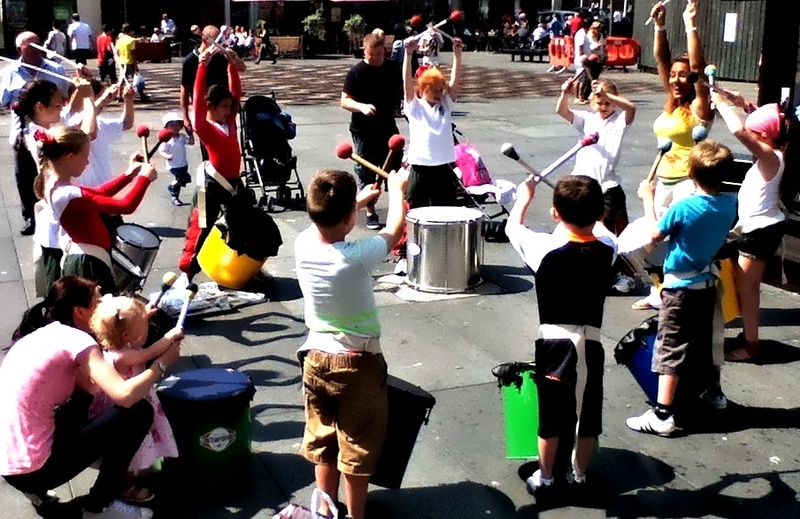 Activities range from junk percussion-making to competitive team drumming games! 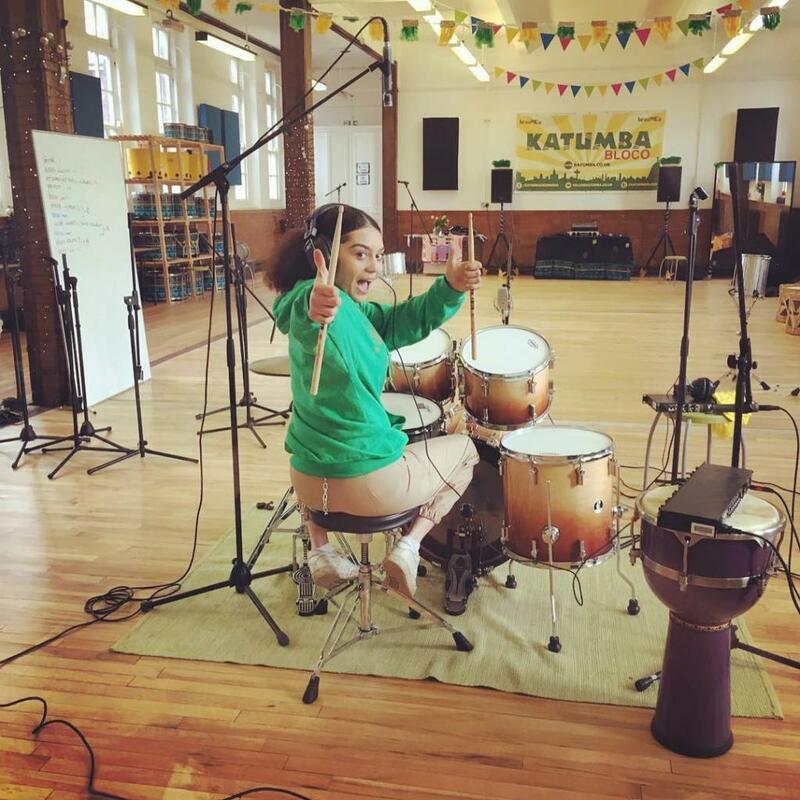 Katumba have also helped organisations set up their very own drumming groups, with ongoing support and training for educators to keep the sounds of Katumba in the building – even after we’ve left! 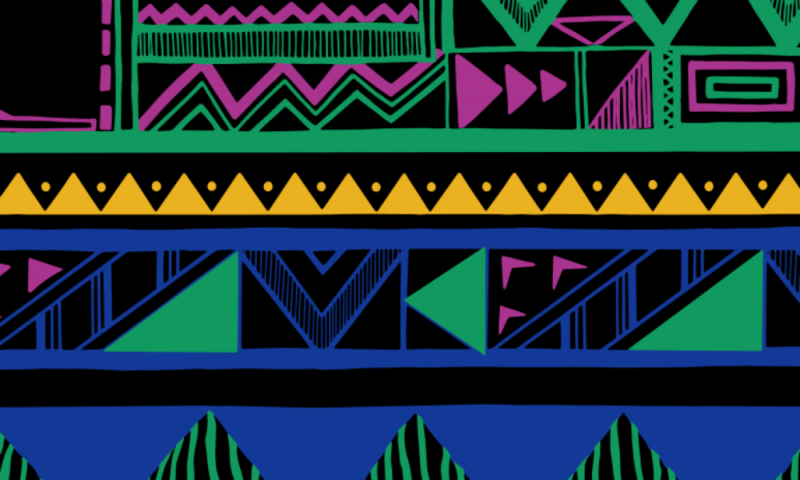 An energetic, multi-cultural and fun experience for everyone involved! While most of our workshops are based around percussion, we also teach dance. 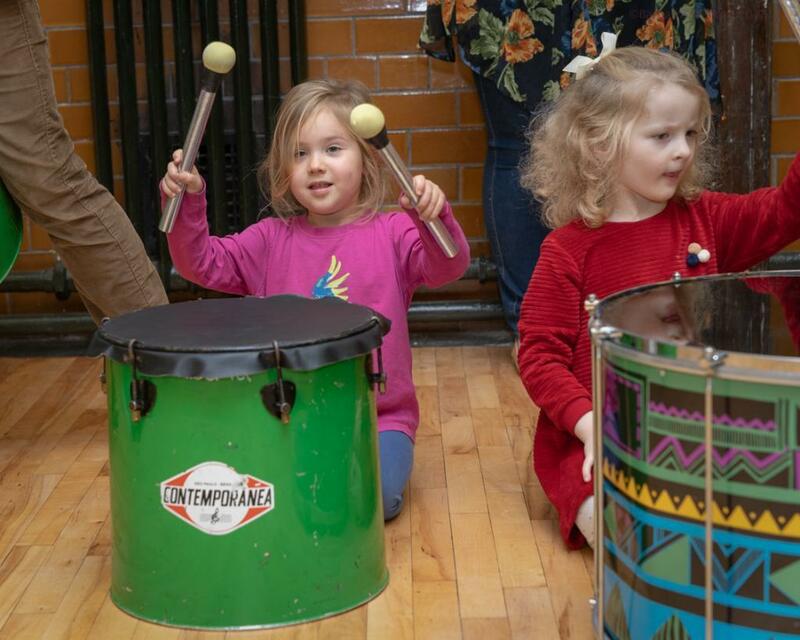 In our after school clubs and long term projects, groups learn about Brazilian and African rhythm and movement, and combine their new skills to create a fantastic final performance! Through this shared experience, outcomes include teamwork, listening, laughter, empathy, solidarity and a wealth of achievement for everyone involved. 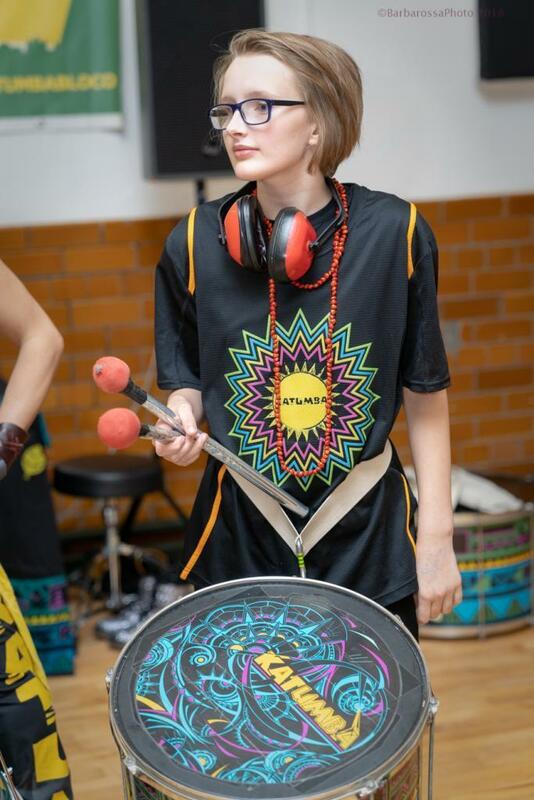 Katumba can also bring the carnival to your school or organisation! With an assortment of colourful and authentic costumes and props, we regularly collaborate with local arts practitioners to deliver a range of classes. From mask and head dress making to capoeira and football skills; we support you to enrich and enhance the delivery of your curriculum. Click here to read more of our great reviews. 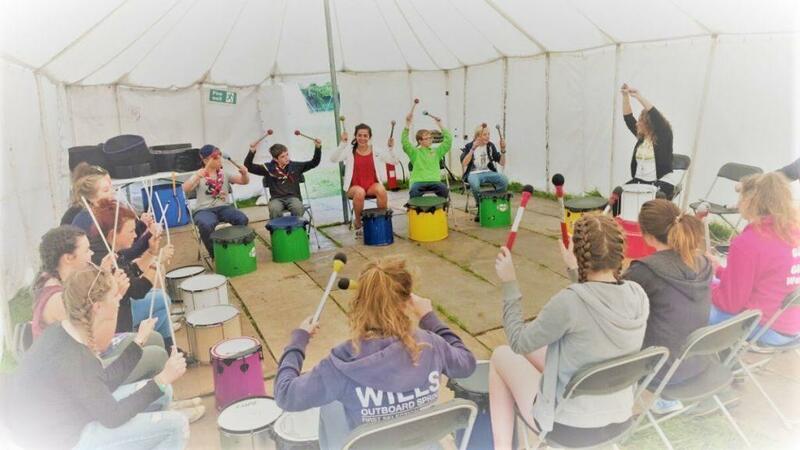 Group drumming can improve communication, cohesion and build camaraderie. 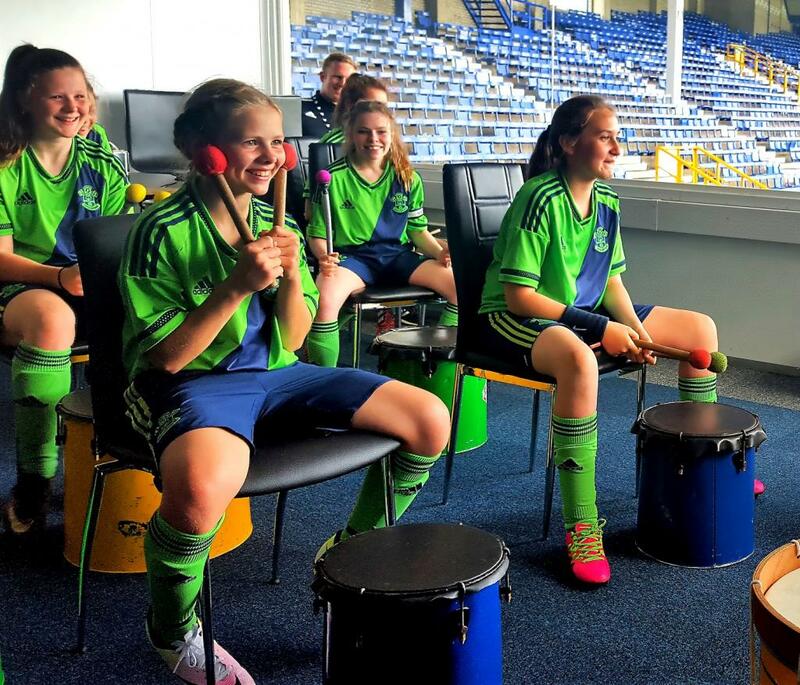 Our energetic drumming workshops create a memorable team bonding experience like no other! 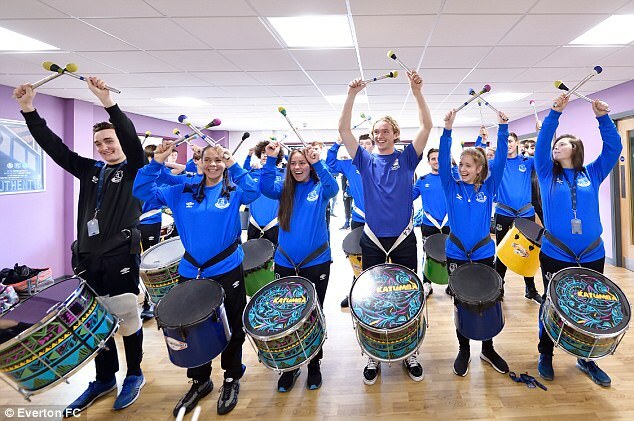 Our upbeat drumming band is available to hire for carnivals, parades, festivals, weddings, clubnights, conferences, sport events and fundraisers across the UK and beyond!